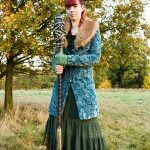 The Young Player Engagement team are very excited to have this opportunity to develop an area of larp that will benefit families who wish to attend fest systems. We would like to provide more opportunities for children to take part in a variety of activities throughout the day and ensure that there is something exciting for young players of all ages to do for the majority of the event. Based on the historical gladiator training, we are developing Ludus, the academy where young players will learn to fight safely, learn the rules and get help apprenticing for different skills (rules on age ranges are in the Younger Players section). The younger ‘class’ will be the Novicius, those with no skills of their own yet who can apprentice and ‘try out’ all the different skills. As they get older and more competent they may wish to take their rite of passage to learn these skills for themselves. At this stage they will be considered Secundus. They will still be based with the Novicius but will be able to accompany the Primus for selected activities to show their growth in skill and knowledge. Primus are those who have shown their skill and maturity by passing the rite of passage and gaining the ability to use their chosen skills independently. We also hope that Primus will help and support those coming up behind them by supporting the younger ones. As parents ourselves we are acutely aware that young children have a tendency to wake early no matter what you wish to do, so our day will start at 8am with a BYO breakfast story time and singsong aimed at the under 5s. Older children are welcome to come along as well if they wish. Parents are expected to attend with their child so it doesn’t let you off the hook completely, but hopefully it will provide a focus for that dreaded early morning energy! There will also be an evening adventure on Saturday aimed at the older ones which will be aimed to give them a taste of what it is like to be an adult player, but in a more controlled environment. We will aim to finish the day with stories and songs around a campfire before the 8pm watershed. At this point the content of the game may be more adult in nature and unsuitable for younger players. However, it is the discretion of the parents to decide if their child is mature enough to interact with the game world at this point. One of the difficulties of camping and larping with children is the difficulty in keeping them entertained for the whole day, especially when the weather is less than cooperative. We are in the very fortunate position that we have indoor heated space that we can make available for activities. Therefore we will have a hall that will be set up with games and craft activities throughout the day. Parents will be able to take their children and make/play something in all weathers. We will also be having some team building activities on Friday evening to help the young players meet the team and each other, and a quick orientation on Saturday morning to help them see the boundaries of play and learn basic rules. All team members are fully DBS checked and have undertaken safeguarding training. I am Zena. I am a mother to 3 children and a qualified primary school teacher. I have been involved in roleplaying in a variety of systems for a decade now, both as a player and volunteer. I have been taking my eldest to larp for almost as long and he has developed his own love of the hobby. I am so excited to be involved in this new project and I feel that my experiences as a roleplayer and professional will help me, with my team’s assistance, develop a game experience that families will find really positive. I am Stacy. I am a mother to one and a qualified teacher and childminder. I have been taking part in a variety of live action role play systems as a player and a volunteer for over a decade. As a childminder and a teacher I have created activities and experiences to engage children in a variety of activities and this is something I am looking forward to continuing as part of the Legacy LRP team. 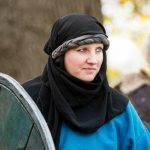 I feel that my experiences as a mother who is also a larper will help me support other families. 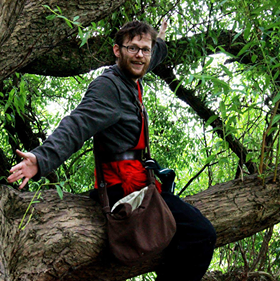 I am James, I am a father of one, qualified Primary School Teacher and a Scout Leader. I have been involved in Live Roleplay as a player and a volunteer for a variety of systems large and small for over a decade. I have worked on and played at large fest games, and small games. These range from high-fantasy to modern games and everything in-between. I really enjoy working with Young People and have spent time both in and out of the LARP field developing activities and programmes which children not only benefit from but also gain enjoyment from. My undergraduate degree in Contemporary Theatre and Performance has given me many skills which I can use within Live Roleplay to ensure that the young people I work with will have a fun, engaging and safe experience. I am approachable and friendly and will do all I can to make sure young people get the most out of Legacy LRP that they can.